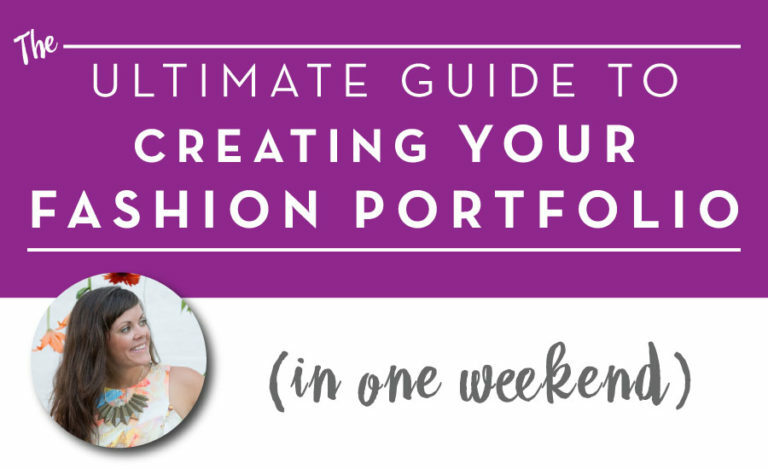 How do you find the best fashion design portfolio inspiration and examples? 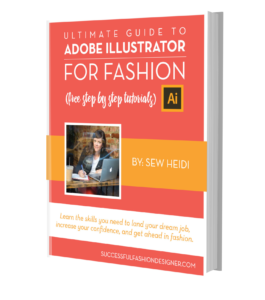 First, you’re reading this book so you’re already doing way more than most fashion designers out there. I’ve done my best to do a lot of the digging through a lot of crap Google, Pinterest, StylePortfolios.com, Behance, Coroflot, etc for you. 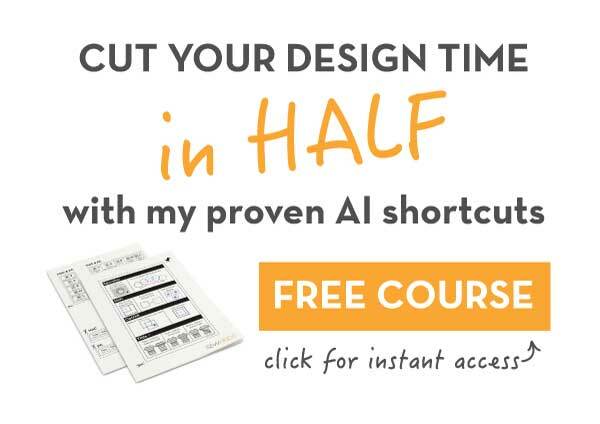 The internet is a crowded place and there’s a lot of stuff out there…and I know this isn’t the answer you want, but you have to put in the effort. There is no one stop shop for this. There is no one place that has hand curated the best of the best. If there is? I haven’t found it. If you do? Email and let me know [heidi at sewheidi dot com]! But in the meantime, you just have to dig. Personally, if I could only look in one place? It’d be Pinterest. When it comes to your fashion portfolio, finding inspiration is a visual search – and Pinterest gives us that. Here’s the good news though. This isn’t a task that should take you months or weeks or even days. If you don’t see examples in this book that are good enough for you to get started, take an hour or two with a glass of wine and start digging. That’s plenty of time to find 3-5 good examples you can use as inspiration and reference for your own book. Take those and get to work. Afterall, you’re a fashion designer. It’s your job to find inspiration and apply it to your work. The same goes for your fashion portfolio. That moment you feel like your book is looking amazing. You feel good about your portfolio! And then, because you’re addicted to Pinterest and the internet and can’t stop browsing all the fashion portfolio sites (we’re all guilty), you keep looking at other people’s work. It’s hard not to compare yourself. And just like that, BAM. It’s like being plowed over by a semi truck when you start finding portfolios that are better than yours. STOP looking at other people’s portfolios. STOP comparing yourself to other fashion designers. STOP being obsessed with making yours the best in the world and spinning your wheels on it for months, or even years. 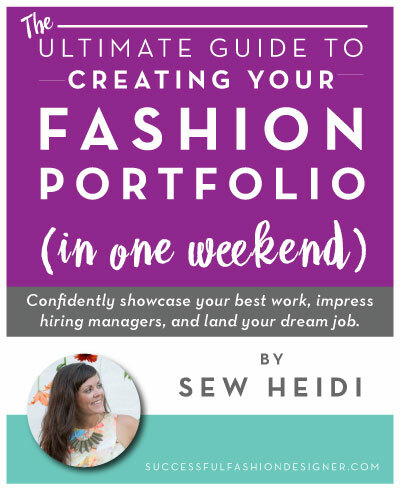 Adhere to the one weekend timeline I gave you at the beginning of this book, get it done, and then STOP. Let yourself carry the feelings of confidence and pride into your next interview. It will show, brands can sense this. Confidence will exude and that helps tremendously when it comes to getting work. I know it’s easier said than done, but trust that when yours is done, it’s your best work. Trust that you’ve done the best job you know possible. Trust that it’s just what it needs to be. 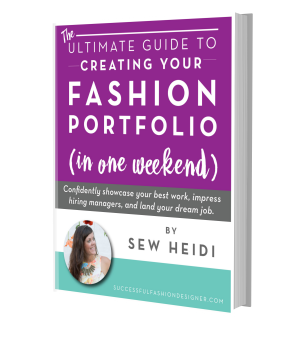 You don’t need to make a career out of putting your fashion portfolio together. Let go of the perfectionism, it just needs to be good enough. If you’ve hit that benchmark, move on.